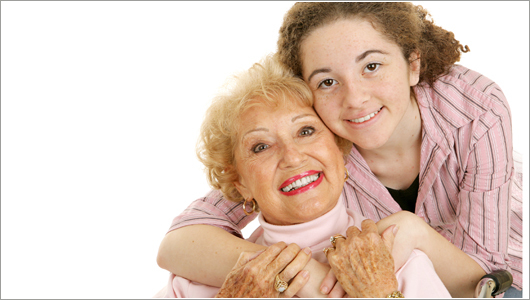 Another home care arrangement is for family members, who are not living close by or who are employed fulltime, to become coordinators of care and to offer only limited, personal, hands-on care. These people might hire a care manager to act on their behalf. Another arrangement becoming popular in Europe is for the elderly to share an apartment or home together and provide for each other's needs. In Europe there are actually agencies that bring together interested elderly parties who desire to share living arrangements. We're not aware of these services in the United States , but the trend will probably be to provide similar living arrangements here. There are currently all kinds of agencies providing roommate sharing service around the country so it is only a matter of time before some of these services start specializing in bringing together elderly people who can provide support for each other. Currently the only way we are aware of elderly people coming together to share a home or apartment is through classified ads. A daily reading of the newspaper or online ads will probably yield a number of offers from people desiring a roommate who can also provide some care services for each other. Join our Council for internet listings and access to hundreds of free articles for your own use.